The Full Text Of The GWPF Report On The £300Bn Cost Of The CLIMATE CHANGE ACT …. I believe that you will find this 56 page pamphlet regarding the cost of the Climate Change Act both informative and deeply shocking. It is widely believed that the Climate Change Act is likely to be the most expensive Act of Parliament ever passed. When you consider it is enacted based upon unsound scientific theory that is both heavily debated and widely discreditted, such as the largely dishonest claims for the efficacy of Wind Turbines and their value to the generation of power, without considering the huge environmental damage done in their manufacture and installation, plus of course the damage to both the wildlife, soil and scenery. Damage which is not only cumulative but long lasting! The many tons of concrete and the huge amount of steel used in their construction, together with the transportation, outweighs in damage and pollution any likelihood of gain they may pretend to, both in the short term and the long term! PS-56: PRESS RELEASE, subsequent to Planning Committee meeting of 11-Aug-2015. We are extremely disapointed that the Forest of Dean District Council has ignored both the wishes of the local community in Tidenham and new Conservative Government Policy Guidance and has granted planning permission for the erection of a 300ft+ high wind turbine at Severndale Farm,. Given that the applicant. Mrs. Maria Edwards, is the newly elected Conservative member of the Forest of Dean District Council Planning Committee for Tidenham Ward, concerned local residents will be taking legal advice on the handling of this application by the District Council. This was issued together with a copy of the letter in the PS-54 above. Media Coverage of The Judgment final of Mr. Justice DOVE – HIGH COURT – re: Wind Turbine, Hanley Hill, Stroat. re: Wind Turbine, Hanley Hill, Stroat. Mrs. Clarke of Resiliance might find a detailed reading of the High Court Judgement might serve her well, it is clear that thinly veiled bribes are not to be considered in planning applications, further it is not for Mrs. Clark or her commercial interest in profit to consider an appeal as it was FoDDC whom the Judge found against and thus although an interested party Resiliance, Mr. nor Mrs. Clark nor even the applicant Cllr Mrs. Maria Edwards of the Planning Committee of FoDDC are in a position to appeal as the judgement was not against them. In my opinion Mrs. Clark would also be well advised to consider her position in view of the clear misrepresentation of the situation and her support for the unlawfull decision of the FoDDC overturned by The High Court – as it could be interpreted as contempt of Court. It has been made unequivocally clear that however well disguised bribes should never be allowed to be considered as a means to buy planning permission and the interests of the affected community are highlighted under the law not the profiteering of the applicants. As has been shown the affected community will take strenuous efforts and take vigerous action to uphold planning law and their rights in the interests of the community at large – particularly minded of the unequivocal statement in the Sunday Telegraph 05-Jun-2016 that there is no case for wind turbines on land in England as there is insufficient wind to sustain them (hence the need owners have for huge subsidies and back up deisel generators!). Our countryside, environment, wildlife and general ammenities are not readily for sale to for profit despoilers willing to pollute our environment in the harmfull production and installation of wind turbines or similar profiteering ‘schemes’ and ‘scams’. Let us hope that the prediction of the ‘self styled so called greens’ is correct and this decision does indeed make it harder to erect the grossly polluting edifices that are so clearly proven to be damaging to the environment, the wildlife and the scenery as they tower dominantly over the landscape flickering and distracting 3 times the height of the highest tree in the forest as the backdrop or foreground to any efforts to enjoy the peace, tranquility and views of such a beautifull are. IF they effectively produced electric current on a viable and reliable basis that might in the eyes of some of the more gullible act as some mittigation – but they do not! In a decision that could have national implications for crowd-funded alternative energy projects, Mr Justice Ian Dove said the Forest of Dean District council was wrong to grant planning permission for the 87 metre turbine at Severndale Farm, Tidenham. And he has said FODDC must pay the protester’s costs of quashing the decision, which could amount to around £35,000. The turbine divided the village with some saying the cash benefits of around £500,000 from a share of profits would come in useful and others saying it would ruin the landscape and be dangerous because it is next to the busy A48. When a majority of councillors on the committee overturned the advice of officers who said the Woolaston-based Resilience Centre should not be allowed to put a turbine on the land owned by local farmer Lyndon Edwards, those against the plans raised enough money for a judicial review. Their barrister told the High Court that it was irrelevant that some of the profits would be ploughed back into the community. And in upholding their challenge, the judge said it was a fundamental rule that planning permissions are never “for sale” and that it was unlawful to focus too much on community benefits which were dependent on winning planning approval. Resident Peter Wright, who led the fight against the turbine, said he was delighted.”This is an historic victory for the true local community in Stroat and Tidenham,” he said. “The local community have been united in their determination to block this third single wind turbine being put up in the Severn Estuary by the same developers and we are pleased that the High Court has fully recognised the merits of our Claim and quashed the council’s decision as being unlawful. Sue Clarke director of the Resilience Centre, which has been behind two turbines in the Forest and two in Stroud, is considering appealing against the judge’s decision. She said: “This ruling, which quashes the planning permission for Severndale, is disappointing on many levels and is yet another blow for the UK community energy sector. Before the case green energy suppliers had voiced concerns that a win for Mr Wright could make it more difficult for them to get crowd-funded turbines off the ground in future. But Mr Wright said it would stop them “creating a wind farm landscape by stealth” in sensitive areas such as the Severn estuary.”If successful, this challenge will ensure that no other council can act with such impunity in the face of the overwhelming views of the local community and in breach of planning guidelines regarding alleged community benefits,” he said at the time. But Ms Clarke, insisted the judgement took no notice of changes to planning guidelines on the desirability of community led projects and letting local people decide on wind turbines. She said funds from the St Briavels turbine had been used for projects such as the expansion of St Briavels Playgroup, a roving village handyman and a Christmas meal for OAPs. “We are sad that the outcome has not been the one we all hoped for, and which the community sector needs,” she said.”We believe there is a strong case to appeal the decision and are currently considering our options,” she added. 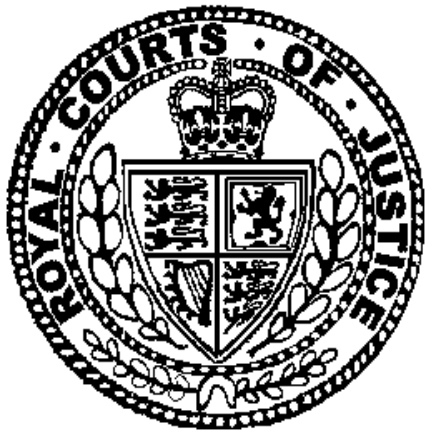 Judgment final of Mr. Justice DOVE – HIGH COURT – re: Wind Turbine, Hanley Hill, Stroat. Tthe written Judgement which runs to 52 pages and over 17,000 words is very clear in its conclusions which start at Page 43 (sect 47), if you do not want to read the whole thing. If you feel anyone else in the affected community might want to read the judgement please draw this page (URL) to their attention. Do also draw the Judgement to the attention of anyone else you know or are in contact with who is seeking to prevent the despoilment of the countryside due to the errection of a wind turbine which by its very construction is hugely damaging to the environment and of zero net gain to the public or particularly the affected community. Wind Turbines are a grossly inefficient and unreliable way of producing energy yet they take a great deal of very polluting energy to manufacture and instal! There is also of course the environmental damage in terms ofvibration, flicker and the birds and bats battered to death by tjhem not to mention the damage to the visual amenity. It is NOT a matter of ‘NIMBYism’ that leads me to be so opposed to these monstrous carbuncles on our landscape but the pure dishonesty of so many of the applicants and the greed and avarice that leads them to believe that syphoning money out of the pockets of many who can ill afford extra costs should be used to subsidise their avarice and greed. It has yet to be shown that there is any moral, material or economic gain for the society and mankind at large in errecting these monstrous structures, yet it is clear and irrefutable that they are damaging on many counts. Happy reading and we shall be in touch again soon, when we hear details on recovery of costs from the FoDDC – I am assured that any net gain in funding from repayment of costs by FoDDC, Crowd Funding Donations or Donations from any other sources will be used to fund further battles to oppose attempts to impose further such whitye elephants in the immediate area and any surplus to that will be used to aid in opposing Wind Turbines elsewhere. Thank you to all for their donations so far and particularly to those who risked so much and put in so much work researching, transcribing and in pure leg work delivering leaflets and attending meetings. We are still hoping for further donations to assist in battles ahead as greed and self serving arrogance rarely evaporates, and we expect further applications to materialise! 1. This case concerns the question of whether or not an element of the package of socio-economic benefits associated with a wind turbine development, in the form of a local community donation based on turnover generated by the wind turbine, amounts to a material consideration which it was lawful for the defendant to take into account when granting planning permission for the development to the interested party. In addition, the case also concerns whether or not it was lawful to impose a condition requiring the development to be carried out via a community benefit society registered under the Co-operative and Community Benefit Societies Act 2014.
preferred turbine option is the Enercon E53 turbine or Powerwind 500 (or similar). The turbine will be of 500kW capacity and will follow the community focussed Resilient Energy partnership model established by the Resilience Centre and now recognised as an exemplar for community renewable energy. The applicants intend to establish a community investment scheme where local people are able to share directly in the project returns. Annual community donations will also be made based typically on 4% of turnover (estimated at an average of around £15k to £20k each year for 25 years of operation – up to £500k to help address current and future community needs). Aspects of construction and materials will be purchased from by (sic) local suppliers where possible. The approach of Resilient Energy Severndale involves a partnership between the landholder and the Resilience Centre, based on a shared risk/expenditure basis and an equitable share of the financial rewards following development. The project is designed to help meet the energy needs of the local community (rather than an industrial scale project which far exceeds local energy demand) and furthermore, the ethos of the company is to provide a generous share of the rewards to the community, through providing both an opportunity for local people to invest in the project, and through an annual donation based on approximately 4% of turnover to help build Community Resilience in the locality. The single wind turbine proposal is a partnership with local entrepreneurial farmer, Mr Lyndon Edwards, following the community focussed Resilient Energy model developed by the Resilience Centre; a Forest of Dean based social purpose business. The capital for building the project, should planning consent be issued, will be raised through a Community Energy investment offering which ensures that the largest proportion of money is returned to local people instead of banks. Additionally the local community will receive an annual donation based on approximately 4% of turnover providing up to £500 to help build resilience within the local community over the project’s 25 years of operation. The socio economic benefits of the Resilient Energy approach are listed below with further details for each provided in subsequent paragraphs.  Creating and safeguarding local jobs; both directly (up to 2 local jobs created directly per turbine) and indirectly (an estimate of 20+ related jobs in the District based on current pipeline). “This planning application is for a temporary consent for a 500kW Community Scale Wind Turbine at Severndale Farm, Tidenham, following the Resilience Centre’s award winning Resilient Energy community model which aims to maximise the local economic and social benefits of locally led renewables at minimal environmental impact. The application is for an operational period of 25 years plus a year for construction and a year for decommissioning (i.e. 27 years in total). This project is shown to have strongly positive socio-economic effects (greater than for much larger scale energy generating projects on a per MW installed basis) and the locally based applicants have a strong commitment to maximising local economic benefits. It is the intention of the applicants to make an annual donation to a local Community Fund based on 4% turnover (predicted to average around £15k-£20k per annum over the 25 year lifetime of the 500kW (0.5MW) wind turbine project). This equates to up to £500,000 over 25 years–around 8X the recommendation in the latest Governmental guidance (July 2013) per MW installed. For the operational St Briavels turbine a similar Community Fund is already delivering on a similar commitment as well as already providing returns to its community investors. It has funded a number of projects of local community benefit, as selected by an advisory panel of local people. “The applicant indicates that the local community would be provided with the ‘opportunity’ to invest in shares in the scheme with an envisaged return of 7%. In addition, an annual return of approximately 4% of the gross revenues is proposed to be donated to the host community via a Community Fund. The applicant refers to similar schemes that are operational and or pending construction. In considering the economic contributions that the applicant has indicated, while there are similar schemes that may or may not be in operation, there is no formal agreement or arrangements with shareholders and/or the local community in place for this particular proposal. While the applicant’s intention is not in question there are no clear controls and/or enforcement measures that could ensure that these are delivered; no shareholder agreement or clear beneficiaries to any community trust fund. The proposal therefore falls outside of the planning remit. In addition, the fund could be used to finance projects that would be unconnected with low carbon energy generation and therefore be contrary to the ethos of renewable energy. It is therefore considered that whilst such a contribution of payments to the local community may be desirable and may be one which could be seen as a strong reason for granting permission for a renewable energy scheme, in line with a recent appeal ‘called in’ by the Secretary of State for a solar farm at Wroughton, Swindon, the community benefit does not meet the above- mentioned requirements and in fact falls outside the scope of section 106(1) of the Town and Country Planning Act 1990 and fails the tests set out in Regulation 122 of the Community Infrastructure Levy Regulations 2010 as amended. “With regard to the above planning application we would like to clarify and formalise our commitment regarding the proposed Community Ownership structure and can confirm that the project will be brought forwards as a Community Benefit Society, if planning consent is obtained. Furthermore the project would commit a total fund of £500,000 of Community Benefit directly to the local area over the first 20 years of operation of the project, to be distributed by a locally self appointed panel of stakeholders plus any additional surplus from the operation of the Society, estimated to be an additional £600,000 over the first 20 years of operation, a total of up to £1,100,000 in direct community benefits. In light of this the LPA undertook re-consultation to seek clarification on the level of local community support. Having re-consulted with statutory consultees, local residents and contributors (petition not included) it is noted that 58 representations have been received. It is clear that those within the Parish of Tidenham (Local Community to which the applicant has indicated would benefit from the scheme and to which the Ministerial Statement refers) are not fully supportive of the proposal and have reiterated their concerns regarding the adverse impacts that this development would create on the surrounding environment. It therefore remains that the local community are not considered to be in support of the application. The concern/objections of the local community have not been overcome.  The Officer Report takes into account no social, environmental and economic benefits of the proposal believing they need to be legally guaranteed in order for this to be possible. This is incorrect.  The considerable social environmental and economic benefits of similar proposals in a neighbouring district were afforded considerable weight in the planning balance and also in the Inspector’s decision for the Alvington Appeal as evidenced in the Applicant submission dated 10th July.  The positive aspects of a proposal are required to be considered along with any adverse effects and a core requirement of the NPPF is such a balancing exercise.  There is no reasonable justification for disregarding the considerable social, environmental and economic benefits.  The lack of a correct balancing exercise having been undertaken by the FoD council was a key consideration in the Alvington turbine appeal. “32. Paragraph 004 of the same PPG Chapter refers to the likely increasingly important role of community initiatives which should be encouraged as a way of providing positive local benefits from renewable energy development. In this case the proposal is a community wind project with associated social and economic benefits. I have no reason to doubt the Appellant’s statement that a community investment scheme will be offered to fund the project with local investors sharing directly in the operating surplus. A similar scheme has already been established in the same District at St Briavels. As the turbine would provide significant income for the farmer, it is also likely that some of these funds will be spent on necessary maintenance of the listed building. 33. There are a significant number of representations of support from local people including a number of residents of Alvington, the nearest village. However there are also local objections, including the parish councils of Alvington and Aylburton. 34. The Council’s Officer Report and Appeal Statement did not explicitly assess the public benefits of the proposal or carry out a balancing exercise before concluding with the assertion that the scheme would not deliver proportionate public benefits. The Council’s Appeal Statement suggested that there is an absence of an overriding justification based on necessity, however that is not a national policy test. Indeed the Framework explicitly states at paragraph 98 that applicants for energy development should not be required to demonstrate the overall need for renewable energy. “…With regard to the additional representations from the applicant the following clarification is given.  A review of the Alvington appeal decision confirms that the benefits of the proposal are a material consideration and weigh in favour of the development.  It is a matter of fact that representations for and against the application have been received. However planning decisions are not taken on the basis of a popularity contest and should be taken based upon the material planning considerations relevant to the proposal.  The recent government change of policy does place emphasis on a proposal needing to address the concerns of affected local communities. It is a matter for members of the planning committee to determine whether the issues raised by the objectors have been addressed. to be served by any further debate about their contents. It is therefore not necessary for the purposes of this judgment to set out the contents of those documents. The consensus between the parties was that what those documents demonstrated was that having considered the planning merits of the proposal, including the socio-economic benefits, the members concluded by a majority that planning permission should be granted. It was accepted on all sides, and in particular on behalf of the defendant, that the members had included the local community donation fund as a material consideration in favour of the proposals as part and parcel of the basket of socio-economic benefits which were relied upon by the interested party. In other words, the members took into account as a positive feature of the proposals that 4% of the turnover of the wind turbine would be donated to the community for them to spend on projects, activities and initiatives for the benefit of the community as determined by a panel of people selected from the community. Importantly the members caveated their support for the proposal with a requirement that there should be a pre-commencement condition to secure the community benefits. The nature of that condition was agreed very shortly after the members’ resolution in correspondence between the defendant and the interested party. It was agreed that this requirement of the members could be satisfied by a pre-commencement condition which required the development to be carried out by Community Benefit Society. “28. The development is to be undertaken via a Community Benefit Society set up for the benefit of the community and registered with the Financial Conduct Authority under the Co-Operative and Community Benefit Societies Act 2014. Details of the Society number to be provided to the local planning authority prior to commencement of construction. 18. Both the claimant and the interested party introduced evidence which it does not appear was directly before the defendant as decision-maker as part of the evidence in relation to the application. As this material formed the subject matter of written and oral submissions it is necessary to set it out below. It is, however, important to appreciate that these matters did not form part of the defendant’s decision-making process. “The total amount available for allocation at the May meeting of the St Briavels Wind Turbine Community Fund Advisory panel was £10,300. Applications to end April 2015 were considered by the Advisory Panel, and the following award allocations were made. £2,500 (in match funding): to the Friends of St Briavels Church towards required maintenance of the Grade 1 listed landmark, and installation of pew heaters to make the building more readily usable throughout the year by the community at large. The group intend to run a raffle and a major fundraising event on 27th June 2015. A match funding approach was requested in the application to encourage the whole community to get behind the project. The panel were impressed by the suggested approach which shows great commitment and strong community spirit. £500 to St Briavels Parish Council towards the creation of a village handyman service. The panel agreed with the council that the village could benefit from a general tidy and completion of some simple village maintenance tasks. The panel look forward to seeing the benefits for the village over the next six months and would be happy to consider further applications at future funding rounds. £552 to Heartbeat St Briavels to cover 12 months maintenance of the publicly accessible village defibrillators which are located at the Assembly Rooms, the Pavillion, Lindors and the fourth soon to be installed outside the school gates. The panel were pleased to hear that 100 people have now been trained in the use of the potentially lifesaving equipment and would be happy to consider further applications on an annual basis. £250 to the St Briavels Playgroup towards purchase of replacement waterproof clothing to enable the youngest members of the community to participate in scheduled outdoor Forest activities to nurture an appreciation of the natural environment, even in inclement weather. e) supporting educational and/or other community activities which promote awareness of environmental and related issues. The Society shall be owned and controlled by its Members on a fair and equitable basis. was part and parcel of the application and considered as one of the benefits telling in favour of the grant of planning permission was not a material consideration that the defendant could lawfully have taken into account. It amounted in effect to a financial donation which did not serve a planning purpose, was not related to land use and had no real connection with the development proposed. As a consequence of taking into account an immaterial consideration the defendant’s decision was infected with illegality such that it should be quashed. 23. The claimant’s Ground 2 is that condition 28, which as set out above requires the development to be carried out by a particular form of legal entity, did not serve a planning purpose and was not related to land use. As such, the condition did not pass the legal tests required since the condition did not pass the tests necessary to establish that it was a lawful condition and thus, again, the decision was infected with illegality. In that the condition was imposed as a requirement of the committee and went to the root of the permission it could not be excised or severed from the planning permission without the entire planning permission falling. (b)they may refuse planning permission. It is a logical process to extend the ambit of Lord Parker C.J.’s statement so that it applies not only to the grant or refusal of planning permission and to the imposition of conditions but also to the formulation of planning policies and proposals. The test, therefore, of what is a material ‘consideration’ in the preparation of plans or in the control of development (see section 29(1) of the Act of 1971 in respect of planning permission: section 11(9), and Schedule 4 paragraph 11(4) in respect of local plans), is whether it serves a planning purpose: see Newbury District Council v. Secretary of State for the Environment  A.C. 578 , 599 per Viscount Dilhorne. And a planning purpose is one which relates to the character of the use of land. Finally, this principle has now the authority of the House. It has been considered and, as I understand the position, accepted by your Lordships not only in this appeal but also in Westminster City Council v. British Waterways Board  A.C. 676 in which argument was heard by your Lordships immediately following argument in this appeal. 28. Thus it was held in that case that, properly understood, the policy was designed to protect land uses and not the particular occupiers who were carrying on those land uses. As such, the policy served a planning purpose and was lawful. “The first issue: can “any other material considerations” in section 29(1) properly include financial considerations? other way. Or – to take an example given by Mr. Boydell – in the case of a landmark or tourist attraction such as a derelict old windmill, a planning authority might well decide to permit the owner to put up an otherwise undesirable kiosk to sell postcards and souvenirs if this is the only viable way of obtaining a desirable restoration. “I reject as unarguable that any of the obligations volunteered by Sainsbury and Tesco and the acceptance of them even approached “Wednesbury” unreasonableness, and I simply ask myself whether each and every one of them were capable of being regarded as having a planning purpose and whether each and every one of them related to the permitted development. So far as benefits which were to be provided on site there does not appear to me to be the slightest difficulty or room for argument. They made the development more attractive and that must surely be in the public interest. counteract the other and accordingly in my view the park and ride facilities plainly related to the development proposed and was for a planning purpose. (3) it must not be Wednesbury unreasonable. I therefore reject the suggested gloss upon the Newbury tests for materiality and consider whether they were satisfied by the matters which were proposed to be included in the section 106 agreements in this case. They all amounted to considerations of a planning nature and the only question is whether they fairly and reasonably related to the development. Many of them, such as the construction of the tourist centre and bird watching hide, were to be constructed upon or adjacent to the development itself. They were matters of benefit to the developer as well as to the community. I do not see how it can possibly be said that such embellishments did not fairly and reasonably relate to the development. The only benefits which in my judgment give pause for thought are the two substantial sums offered by Sainsbury as a contribution to work to be done away from the site. They are the £800,000 contribution to a park and ride facility and the contribution of up to £1 million for infrastructure on a new industrial site at Derrisford Barton. Mr. Peter Watkins, of the Devon County Council Highways Department, said that the proposed superstores would have a traffic impact over a wide area of the local highway network. The beneficial effect of a park and ride facility would be to remove traffic from the main radial commuter/shopper routes, thus reducing conflict with traffic heading for the proposed superstore. In addition to this general causal link, Mr. Dean added that there were arguments for utilising part of the Sainsbury site itself for decked car parking to accommodate the park and ride, but Sainsbury preferred the park and ride cars to be accommodated elsewhere. If such accommodation were provided off the site, fewer people would use Sainsbury’s own car park when they really wanted to park and ride rather than shop at Sainsbury. In my judgment this was evidence upon which the judge was entitled to decide that the park and ride facility was fairly and reasonably related to the development. available to foster new employment opportunities and Policy EM9 of the structure plan said that the use of employment land for retailing would not normally be permitted. It was true that in recent appeals to the Secretary of State concerning other superstores, little weight appeared to have been attached to this policy. But, as I have pointed out, the fact that a policy might not be upheld on appeal does not mean that a planning authority is not entitled in law to treat it as a material consideration. In this case, the council regarded the improvement of other land by Sainsbury as a compensating advantage, equivalent to the release of the Vosper site near the docks in the Tesco proposal. The offer, it should be noted, was not simply to pay the council f 1 million. It was to contribute up to £1 million to the actual cost of infrastructure works undertaken by the council within a period of two years at a specific site. In my judgment this benefit was also fairly and reasonably related to the development. 33. Shortly after this case had been decided a similar issue came before the House of Lords in the case of Tesco Stores Limited v Secretary of State  1 WLR 759. That case was also concerned with the provision of out-of-town supermarkets. In that case two developers applied for planning permission for out-of-town supermarkets on sites in the town of Witney. One developer, Tesco, offered to provide full funding of £6.6 million for development of a link road which had been designed to assist traffic conditions in Witney. The application by Tesco and a rival application promoted by Tarmac were both called in by the Secretary of State for his own determination. the whole road was wholly disproportionate and it would be quite unfair if Tarmac was disadvantaged because it was unwilling to match this offer. The Secretary of State in substance accepted this argument. His policy, even in cases of competition for a site, is obviously defensible on the ground that although it may not maximise the benefit for Witney, it does produce fairness between developers. Tesco, on the other hand, say that nothing was further from their minds than to try to buy the planning permission. They made the offer because the local planning authority had said that in its view, no superstore should be allowed unless the West End Link was built. Tesco say that this seemed a sensible attitude because although it was true that the development would add only marginally to the congestion which would have existed if offices had been built, this was an unrealistic comparison. In practice it was most unlikely that anyone would build offices in that part of Witney in the foreseeable future. The fact was that the development would make the existing traffic problems a good deal worse. In an ideal world it would have been fairer if the highway authority had paid for most of the road and Tesco only for a proportion which reflected the benefit to its development. But the highway authority had made it clear that it had no money for the West End Link. So there was no point in Tesco offering anything less than the whole cost. Why should this be regarded as an improper attempt to buy the planning permission? The result of the Secretary of State’s decision is that Witney will still get a superstore but no relief road. Why should that be in the public interest? I think that Tesco’s argument is also a perfectly respectable one. But the choice between a policy which emphasises the presumption in favour of development and fairness between developers, such as guided the Secretary of State in this case, and a policy of attempting to obtain the maximum legitimate public benefit, which was pursued by the local planning authority in the Plymouth case, lies within the area of discretion which Parliament has entrusted to planning authorities. It is not a choice which should be imposed upon them by the courts. in Victoria or the swimming pool on the other side of the city. They do not, as Kerr LJ thought, raise questions of fact and degree. There must be a real connection between the benefits and the development. 37. Having traced the evolution of this area of law up to its distillation into the four principles which were identified by Lord Collins in paragraph 70 it is important to focus in particular on the legal test in relation to off-site benefits. It will be apparent from paragraph 70 that off-site benefits are the subject of a particular treatment no doubt because they are not directly part of the development itself. 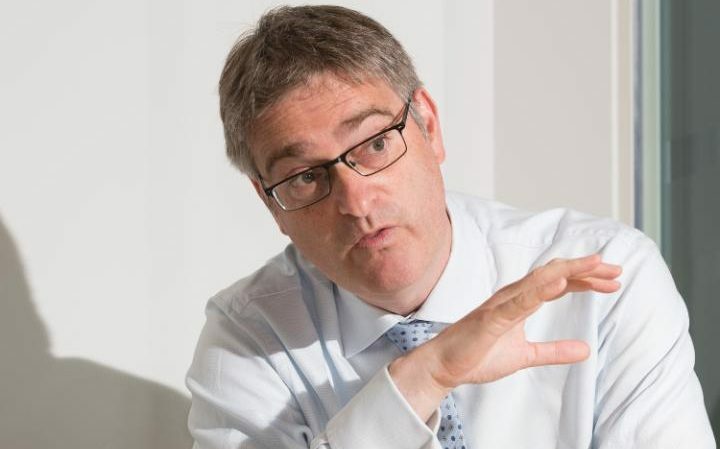 It is clear from the decision of the Supreme Court in Sainsbury’s that off-site benefits will only be material where they are related to or connected with the development. As Lord Collins observed this is not a question of fact and degree. It is a legal requirement that there is a real, as opposed to fanciful or remote, connection between the suggested off-site benefits and the development. It is this principle that is particularly in play in the contentions raised under Ground 1. “50… An offered planning obligation which has nothing to do with the proposed development apart from the fact that it is offered by the developer is plainly not a material consideration and can only be regarded as an attempt to buy planning permission. However, if it has some connection with the proposed development which is more than de minimis then regard must be had to it. The extent, if any, to which it affects the decision is a matter entirely within the discretion of the decision-maker. 51 Mr Price Lewis submits that “the requirements to ensure that local produce and local employment opportunities are provided for are not matters which satisfy a policy that must be complied with in order to enable the development to proceed”. But it is not for me to say whether they are necessary to make the development acceptable. Subject to the requirement that they must be “directly related” to the development, which is the next point, that decision was for the committee. 39. It is important to observe in relation to that case that Bean J did not refer to the decision of the Supreme Court in the case of Sainsbury’s, and also that the case only very indirectly and tangentially related to off-site benefits. Both the provisions in relation to local employment and the sale of locally sourced food related to the operation of the development itself which was being granted planning permission. 40. Section 2 of the Co-operative and Community Benefit Societies Act 2014 creates the opportunity to register under that Act a community benefit society. Section 2(2) identifies as the condition for registration of a community benefit society that it shows to the satisfaction of the Financial Conduct Authority that “the business of the society is being, or intended to be, conducted for the benefit of the community”. The purpose of condition 28 was to require the carrying out of the development by this form of legal entity. · following consultation, it can be demonstrated that the planning impacts identified by affected local communities have been fully addressed and therefore the proposal has their backing. Whether a proposal has the backing of the affected local community is a planning judgement for the local planning authority. What is the role for community led renewable energy initiatives? Community benefits can bring tangible rewards to communities which host wind projects, over and above the wider economic, energy security and environmental benefits that arise from those developments. They are an important way of sharing the value that wind energy can bring with the local community. 2. Benefits in-kind – other voluntary benefits which the developer provides to the community, such as in-kind works, direct funding of projects, one-off funding, local energy discount scheme or any other non-necessary site-specific benefits. 3. Community investment (Shared ownership) – this is where a community has a financial stake, or investment in a scheme. This can include co-operative schemes and online investment platforms. 5. Material benefits – derived from actions taken directly related to the development such as improved infrastructure. Material and socio-economic benefits will be considered as part of any planning application for the development and will be determined by local planning authorities. They are not covered by this guidance. “This document contains guidance on community benefit funds and benefits in-kind. The provision of these community benefits are entirely voluntary undertakings by wind farm developers and should be related to the needs of the local community. The primary role of the local planning authority in relation to community benefits is to support the sustainable development of communities within their jurisdiction and to ensure that community benefits negotiations do not unduly influence the determination of the planning application. There is a strict principle in the English planning system that a planning proposal should be determined based on planning issues, as defined in law. Planning legislation prevents local planning authorities from specifically seeking developer contributions where they are not considered necessary to make the development acceptable in planning terms. Within this context, community benefits are not seen as relevant to deciding whether a development is granted planning permission. Currently the only situation in which financial arrangements are considered material to planning is under the Localism Act, as amended (2011) which allows a local planning authority to take into account financial benefits where there is a direct connection between the intended use of the funds and the development. can seek these contributions, either in-kind or as a payment towards the cost, as part of the planning permission. 48. Based upon this material it is clear that the local community donation involves the provision of a significant sum of money derived from the operation of the development. It is intended that it will be locally administered by members of the community and that the money will be devoted to projects, activities or initiatives from which the local community will derive benefit. What is equally clear is that there are no particular community benefits which are identified to which the donation would be applied. It could be used for anything, provided that it benefitted the local community in some way. Beyond being of some benefit to the local community, as recognised or defined by the local people administering the fund, there is no limitation on how the money might be used. 49. Having identified the nature of the community donation it is perhaps instructive to consider some of its particular features. Firstly, it is a purely financial contribution which does not in any way regulate how the development might operate. Secondly, it is an off-site financial contribution. Thirdly, it is not an off-site contribution which is designed to ameliorate or address some impact on social or physical infrastructure in the way that for instance a housing proposal would be required to make a financial contribution to provide additional educational infrastructure caused by the additional school pupils generated by the development. Nor is it, like the contribution enabling the release of employment land in the Plymouth case, designed to address some adverse land use consequence of the grant of permission (in that case the loss of the site for employment use). purposes with a real connection to the development proposed, subject to consideration of the arguments raised in relation to planning policy in the Framework and elsewhere which are addressed below. of items on which the St Briavels community donation had been spent were all, within a broad view of matters, supported by this policy material. 52. I did not find these submissions convincing. The starting point must be, as Mr Kingston rightly accepted, that policy cannot make a consideration material if as a matter of law it is not. The consideration must pass the legal tests set out above before it can legitimately be taken into account by the decision-maker. When the policy refers therefore, for instance, to taking account of local strategies to improve health, social and cultural well-being it intends that that should be done in the context of the lawful regulation of land use. It does not mean that any matter or proposal touching on issues of health and social and cultural well-being will inevitably be a material consideration in development control or forward planning. Simply being a contribution for community benefit related to a local strategy for health, social or cultural wellbeing does not make that contribution in and of itself material to a planning determination. It must pass the Newbury test and be for a planning purpose and be fairly and reasonably related to the development proposed. It is difficult to see how the provision of waterproof clothing for a play group or lunches for senior citizens has any proper bearing on the issues relevant to the regulation of land use and control of development which are at stake when considering whether or not to grant planning permission for a wind turbine. The opportunity to make provision for them from the turnover of the scheme is not a planning purpose and is not fairly and reasonably related to the development. 53. Mr Kingston contended that this approach misunderstands the community-led nature of the development proposed. This proposal, he contends, as described in the documentation is not a commercial development but has at its heart that it is a community-led initiative. The community donation is part and parcel of that community-led approach which is fostered by both the Framework, the PPG and the Ministerial Statement and it cannot be isolated from the development as the claimant’s submissions seek to. In a related submission Mr Kingston contended that it is important to examine not the money comprised in the community donation itself but what that money represents, namely the benefits which are the fruit of the community leading the way in making provision for its energy needs through a renewable, low carbon solution. by the third of Lord Collins’ principles in paragraph 70 of his judgment, namely what is commonly referred to as an enabling development. 55. In applying the relevant legal tests for materiality derived from the review of the authorities set out above it is, of course, important to bear in mind that it is no part of the test to consider whether the contribution is necessary or required. Such an additional gloss was specifically rejected in both the Plymouth and the Tesco Stores cases. In my view it is clear that in applying the test from Newbury the community donation neither serves a planning purpose nor does it fairly and reasonably relate to the development proposed. It is irrelevant to the issues engaged by the exercise of land use planning or development control in determining the interested party’s application. It is important to appreciate the essentially open-ended nature of the purposes to which the community donation could be applied: the sole constraint is that the purpose of any grant is for some form of community benefit as determined by those appointed from the community to administer the fund. The community donation is self-evidently not an on-site feature of the development designed to make it more attractive such as the bird hide and public art of the Sainsbury’s proposal in Plymouth. Nor is it a constraint on the operation of the development itself imposed for a planning purpose like the obligation relating to local food sourcing and local employment of the kind addressed in the Welcome Break case. Nor is it an off-site contribution related to a planning impact off-site like the contributions to address the impact of the proposal in the Plymouth case on the extent of industrial land available in the city. The community donation is an untargeted contribution of off-site community benefits which is not designed to address a planning purpose. 56. Applying the principles and conclusions reached by Lord Collins in the Sainsbury’s case it is important to observe firstly, as set out above, this is an off-site contribution and therefore engages the fourth of the principles he sets out in paragraph 70 of that decision. As such it is essential for the off-site benefits to have a real and not a remote or fanciful connection with the development. 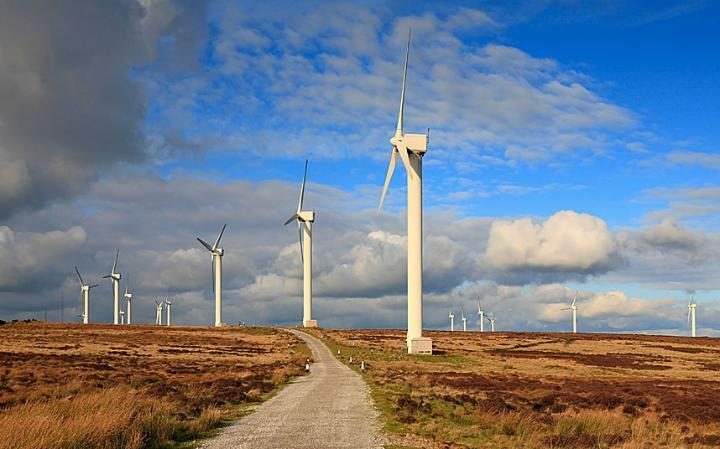 For the reasons set out above there is no real connection between the development of a wind turbine and the gift of monies to be used for any purpose which appointed members of the community consider their community would derive benefit. Inspector’s appeal decision at Alvington adds little if anything to the substance of the legal conclusions which the court needs to reach in this case. 58. Similarly the claimant’s reliance upon the observations of the author of the Planning Statement set out above, to the effect that the local community donation should not be given any weight, is of little moment in determining the legal issues that arise and which must be determined on the basis of the application of the legal principles that have been identified. The Guidance from the Department of Energy and Climate Change was also debated in the parties’ submissions. The claimant contended that the Guidance supported its position; the defendant and the interested party contended that it was irrelevant to the local community donation which was not addressed by the Guidance but was a separate initiative. Neither the Guidance nor these submissions could replace or override the application of the relevant legal principles from the authorities, and they are of little if any help in resolving the issues in this case. and also the members’ debate and voting that this was a balanced decision which could have been determined either way. It has not been necessary to rehearse for the purposes of the legal issues in the case the amenity objections which arose, and which the officers championed, as reasons for refusing the application. Those included both concerns relating to the impact on the historic environment and also landscape effects. I am not prepared to accept that there would have been no substantial difference to the outcome of the members’ decision-making process had they appreciated that they could not take account of the community donation in determining whether consent should be granted. In my view the appropriate outcome in this case is that the defendant’s decision should be quashed as a result of the claimant succeeding in relation to Ground 1. 60. In these circumstances it is unnecessary to address in detail the submissions which were made in Ground 2 in respect of imposition of condition 28, and I do not propose to do so. I would simply observe that the imposition of that condition was contended, at least in part, to be required by the need to secure the establishment of the local community donation. To that extent therefore the Grounds are interlinked. Nonetheless my conclusions in relation to Ground 1 are sufficient to dispose of the case. THE wind farm invasion blighting Britain could come to an end under new government’ plans to pull the plug on funding for new turbines. Ministers want to halt a generous subsidy scheme which would effectively prevent thousands of the monstrosities from getting built. Energy Secretary Amber Rudd is expected to unveil the proposals this week. Under current policy, any big onshore wind turbines built before the end of March 2017 would automatically be able to qualify for generous payments through a scheme called the Renewables Obligation (RO), which is funded through green levies on consumer energy bills. The Department of Energy and Climate Change has now confirmed it plans to “reform” the RO scheme. It is understood to be looking at ending the free-for-all by shutting the scheme down early – effectively preventing thousands of turbines getting built. 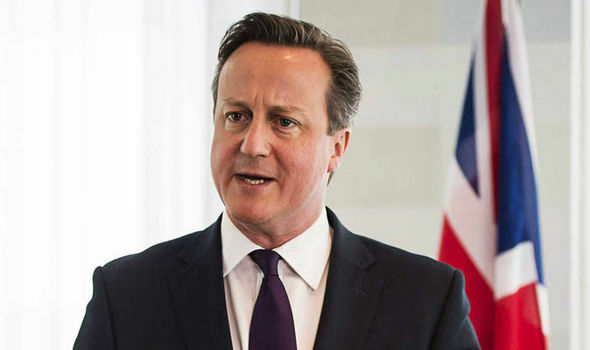 The action follows similar moves taken to curb subsidies for solar farms last year. After the RO shuts, the only possible subsidies for wind farms will be through a new scheme that is less generous and also much more strictly rationed, with ministers deciding how many projects – if any – are awarded subsidy contracts, enabling them to block further onshore wind if desired. 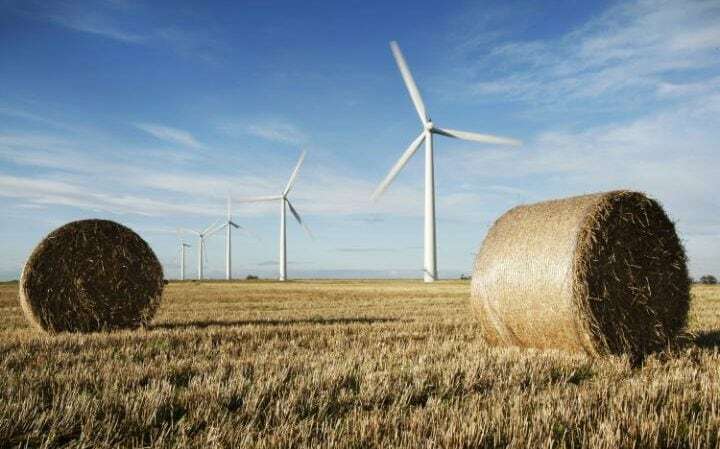 As well as big wind farms, subsidies for small individual wind turbines such as those popular with farmers – funded through a separate scheme called the Feed in Tariff – are expected to be limited under the plans. 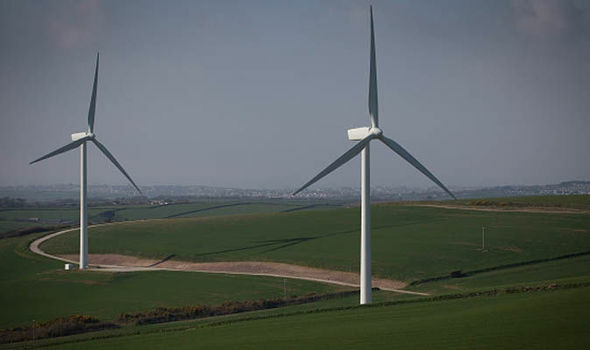 A spokesman for the DECC said: “We are driving forward plans to end new public subsidy for onshore wind farms. Many of the projects that already have planning permission would have been expecting to secure subsidies under the RO scheme and it is not clear whether they will still be able to if the scheme shuts early. Ministers may consider offering a ‘grace period’, enabling some of those that already have permission to still get built while blocking off subsidies for those that do not. The Government announced in the Queen’s Speech last week that it would bring forward legislation to give local communities “the final say” by ensuring large wind farm projects are decided at local rather than national level. However those in the green energy industry had been most concerned about the pledge to end subsidies, amid uncertainty over the detail of the plans.